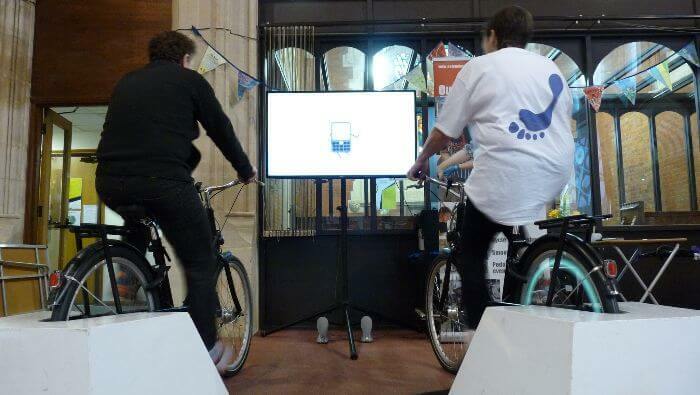 Our Pedal Powered Micro Cinema is great for use in exhibitions, display stands or even small feature film screenings! 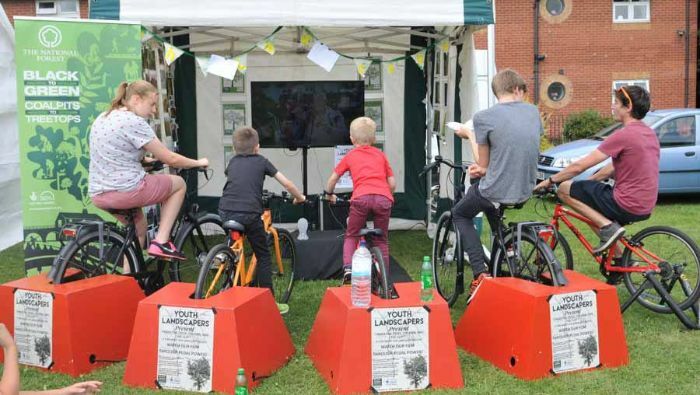 The activity uses 1-4 bikes to power our large flat screen and speakers, which can be powered by as little as just one person. The Micro Cinema is a great way to engage an audience with your message, and works particularly well in a short film format with a steady flow of audience, such as at exhibitions and trade shows. 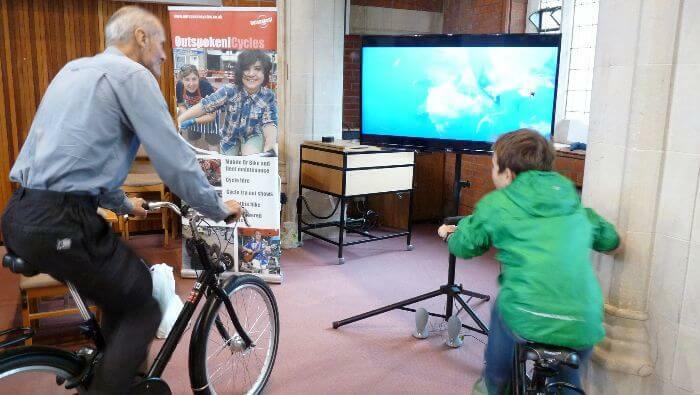 The Micro Cinema can be operated indoors and outdoors and unlike our full size Pedal Powered Cinema it can be operated in a lit space due to the use of the flat screen. 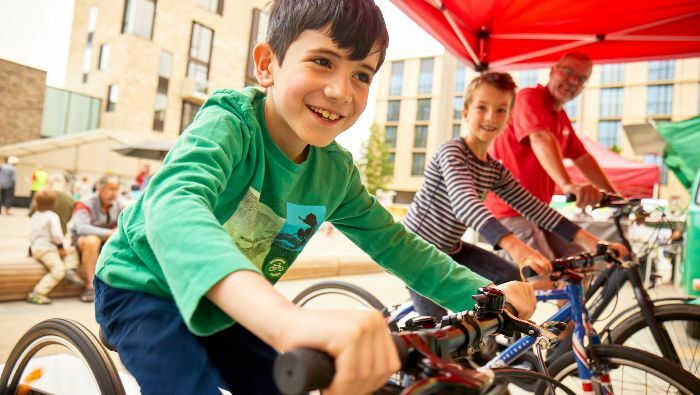 We can bring a range of sizes and types of bikes along and can offer branding options to tailor the activity to your event.